The walls need to be cut out of the injection mold with the wire cutters and the cutoff point needs to be sanded down. 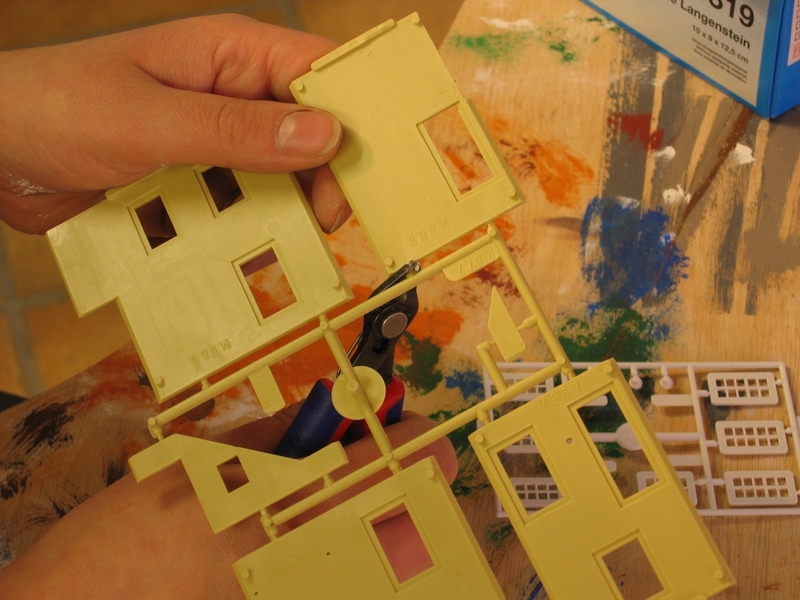 Some parts are easier to paint while still attached to the mold, especially the small parts, that way your fingers will stay clean. Glue the walls together with pressure. And there you have your shell construction! Now the shell construction can be colored with your chosen tinting color. This procedure might need to be done twice. Please make sure to keep the bonding surface free from color, if necessary use sand paper or the cutter knife to remove smudges. 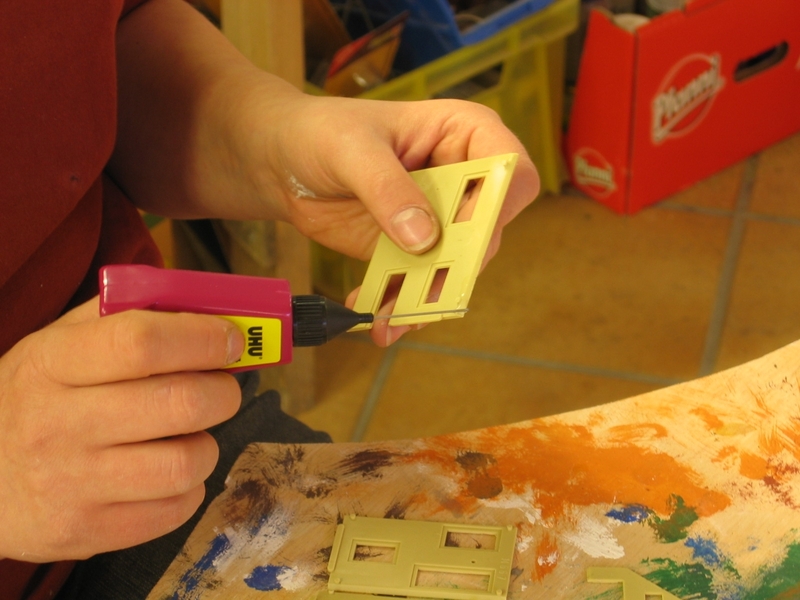 After thorough drying the window frames and Plexiglas panes can be glued in. If you want your building to be illuminated it is recommended to darken the house from the inside (leave out the windows!). Especially the joints in the corners should be impervious to light. Normally people don’t light every room in the house, so you could black a few windows. 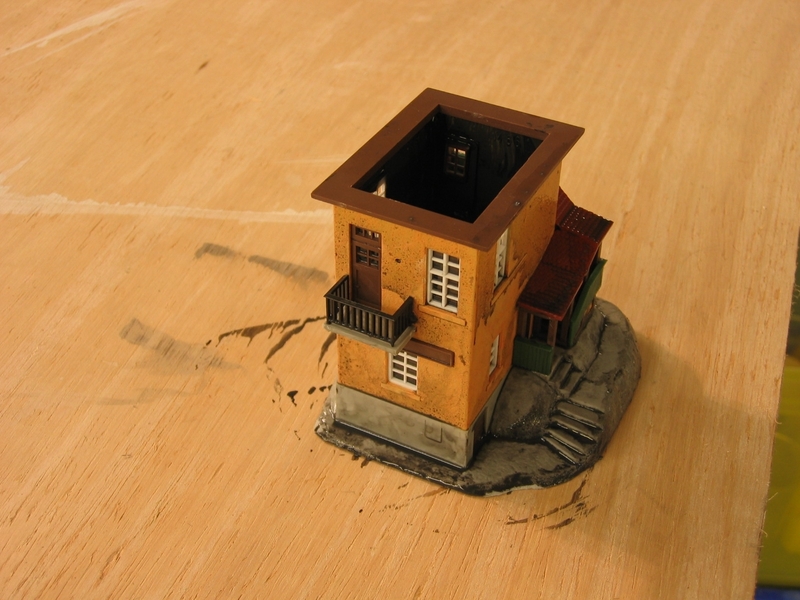 Although the building is ready, it still needs some weathering. To mimic these you need a glass of water, a drop of dishwashing liquid and a drop of black paint. 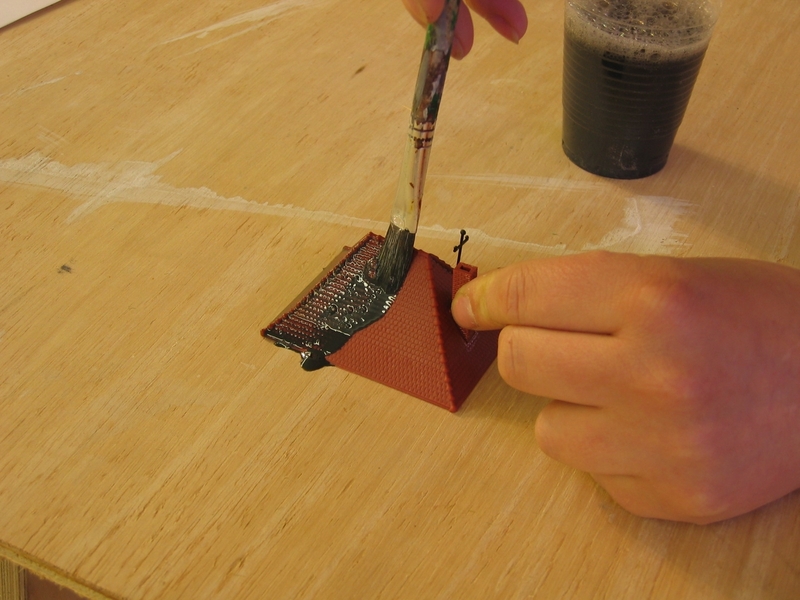 The mixture should be applied evenly on the walls or floors with a soft paint brush. It is best to work from the top to the bottom, since this is the natural direction of movement for water and the dirt will naturally collect in all the right spaces. 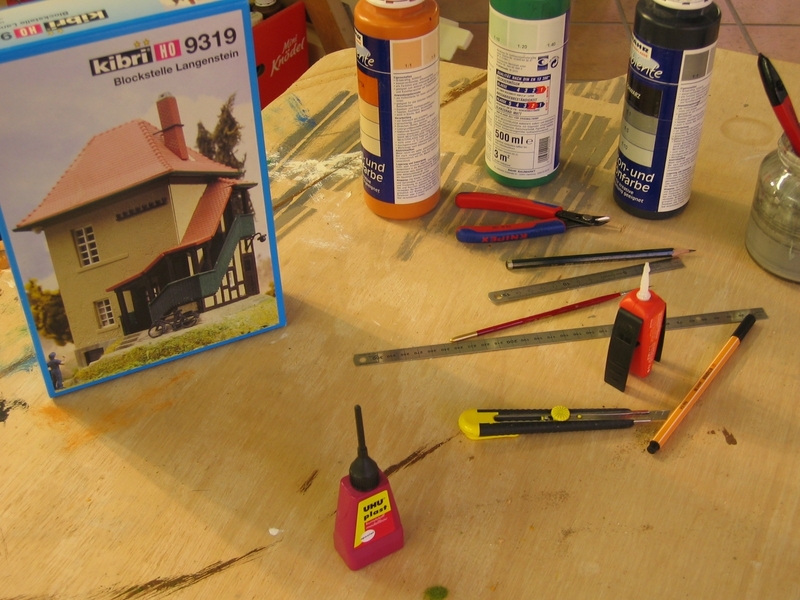 This article is based on the article aging from model building wiki.